Long and luxurious! Long, straight, glamorous wig with hair 20 inches in length. Featuring a natural looking side skin part. See item details for available colors. 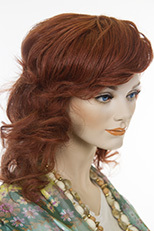 Glamorous long, straight, slightly wavy lace front wig. Featuring, a 3 X 4 inch monofilament top. 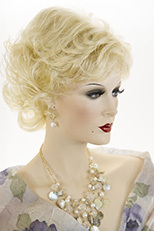 Soft, transparent lace front for a perfect hairline. The futura blend heat friendly fiber, allows all kinds of styling options! 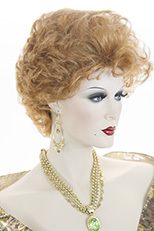 This lovely wig, has three combs inside, so the wig will fit flush against your head, for the most natural look. The length is approximately 24 inches. Please see item details for available colors. 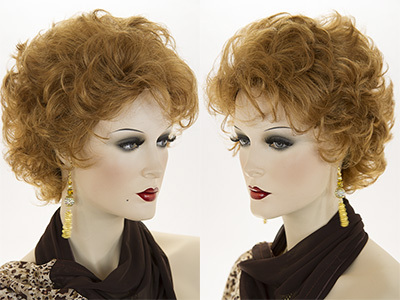 A stunning short wavy layered wig which tapers to the nape! Glamorous and sophisticated. See item details for available colors. 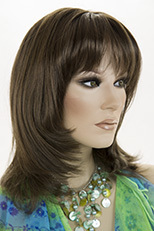 Long, layered, wavy, straight, shag style wig with soft bangs. The length of the hair is approximately 18 inches. Featuring a natural looking center skin part, with bangs 5 inches in length. See item details for available colors. 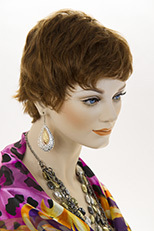 Chic, youthful, short straight, classic Pixie style wig. Hair lengths; top three inches, sides two inches and one inch a the nape with a tapered back. Perfect for any occasion! See item details for available colors. Short straight modern style layered bob wig. See item details for available colors.